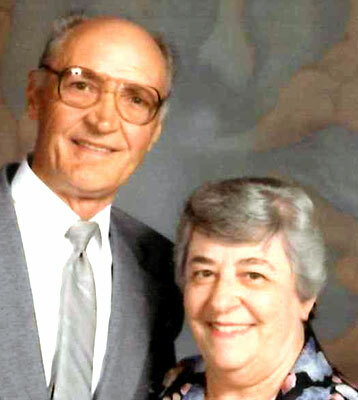 CANFIELD-- Services will be held at 11:00 A.M. Tuesday August 20, 2013 at St. Michael''s Church for Dora Cinea, 87, who died August 15, 2013 at the Hospice House in Youngstown. Mrs. Cinea was born Dec. 16, 1925 in Youngstown, the daughter of Sabatino and Dolorata (Quaranta) DeSanzo. Dora attended East High and worked as a secretary for Modern Store Equipment for many years. She was a member of St. Michael''s Church where she participated in the craft guild. She also enjoyed reading and crocheting. She leaves behind her daughter Sandra M. (Mark E.) Homrighouse, her two grand- daughters Amanda and Marissa Homrighouse and her great-niece Carlene (Jeffree Robertson) Zeches. She was preceded in death by her husband Albert Cinea whom she married on Sept. `12, 1953, her four siblings Antoinette Mariani, Nello DeSanzo, Orlando DeSanzo, and Romolo DeSanzo as well as her niece Leonora Zeches. Friends may call Tuesday from 10-11am at St. Michael''s Church prior to the service at 11 am. Please share your memories of Dora.